With Open Blu-ray ripper, almost any latest Blu-ray movie can be easily converted/ripped to your desired video and audio formats! AVI is short for Audio Video Interleave, which is a basic multimedia file format for Microsoft video for Windows. AVI files can contain both audio and video data within the space of a single file, and synchronize audio with video playback. It uses less compression than some similar video formats like MOV and MPEG. MKV is an open standard free container format to hold audio, video, picture and subtitle tracks inside a single file, although is not a regular audio and video compression format. MKV is a Matroska file - an open source container, with the aim to create a unifying or universal format for multimedia storage with the benefit of being completely open source. 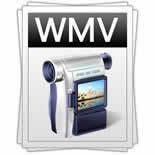 WMV stands for Windows Media Video, which is a compressed video format developed by Microsoft. It makes users view movies and other video programs on their personal computers. WMV files can be played on all the latest versions of Windows. 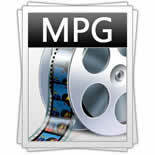 MPG is a video format variant of MPEG, which typically incorporates MPEG-1 or MPEG-2 audio and video compression. It is in charge of the development of standards for coded representation of digital audio and video, supported by DVD, VCD and Epson for entertainment. MP4 stands for MPEG-4 Part 14, a file format for playing music and video. MP4s are made up of several types of media, including video, audio, still images and subtitles to be stored together in a single file and have the capability of storing advanced content, including menus, user interaction and 3D graphics. 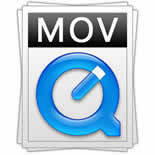 MOV, is a file extension used by the QuickTime-wrapped files, is a format created by Apple Computer used for storing and playing back movies with sound, and is a container format that can contain video, animation, graphics, 3D and virtual reality (VR) content or text. 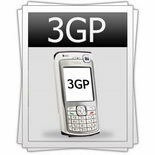 3GP is a multimedia container format for 3G mobile phones, developed by Third Generation Partnership Project (3GPP). It is also supported by some 2G and 4G phones. 3GP is a simplified version of the MP4 format and was designed to make file size smaller so mobile phones could support video. TS is the acronym for Transport Stream, also known as TP, MPEG-TS, or M2T. TS is a communication protocol for audio, video, data. It is used to store video on DVD and compress video data using standard MEPG-2 video compression. It is designed for multiplexing of digital video and audio and synchronizing the output. 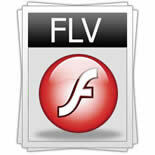 FLV refers to Flash Live Video, which offers high-rated compression for web playback. It takes the hassles out of preparing and presenting video for the Web. With the format of FLV, your videos will possibly reach the widest audience. Notable users of the FLV file include Reuters.com, YouTube, and Google Video. 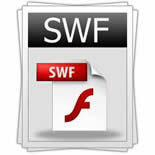 SWF originally stood for Small Web Format, later changed to Shockware Flash, and again changed back to Small Web Format. It is a partially open file format for multimedia and a special vector graphics. It is a media file format for steaming Internet content and requires a shockware plug-in. It captures with pixel perfect precision, it works great when viewed on the Web, and it's royalty-free. 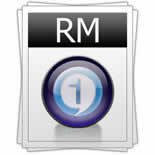 RM stands for RealMedia, which is a popular multimedia container format used for streaming content on the Internet. RM files usually contain audio or video or both of them which are often heavily compressed so they can stream over dial-up Internet connections. 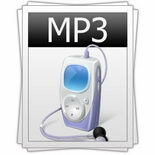 MP3 is short for MPEG Audio Layer 3. It is an international standard digital audio encoding format used for lossy data compression. It is used in audio storage commonly, as well as a de facto standard of digital audio compression for the transfer and playback of music on digital audio players. MP2 is the acronym for MPEG-1 Audio Layer II, sometimes known as Musicam. It is a lossy audio format compressed by ISO/IEC 11172-3. It is a dominant standard for audio broadcasting. It is also used internally within the radio industry, for example in NPR's PRSS Content Depot programming distribution system. 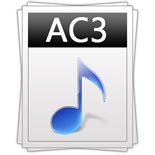 AC3 stands for Audio Coding 3, which is the original and more technical name for Dolby Digital. It is a perceptual digital audio coding technique that reduces the amount of data needed to produce high-quality sound. It was the first coding system for multichannel digital audio and is a 5.1 format. It is used as the sound format for digital television (DTV), digital versatile discs (DVDs), high definition television (HDTV), and digital cable and satellite transmissions. WMA stands for Windows Media Audio, which is an audio data compression format developed by Microsoft - the maker of Windows Media Player. 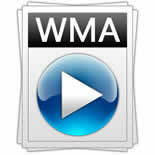 Compared with MP3, WMA may not be popular, but it can compress files at a higher rate. WMA files can be of any size compressed to match many different connection speeds or bandwidths. M4A refers to MPEG 4 Audio, which is a popular file extension containing compressed audio with MPEG 4 technology. It is also known as Apple Lossless, Apple Lossless Encoder, or ALE. Files in .M4A format is actually the audio layer of (non-video) MPEG 4 movies. 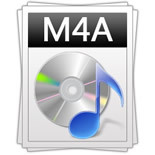 Like MP3, M4A is also a lossy compression format, but it is with an improved quality in less space. 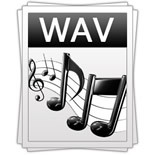 WAV or WAVE, also called Audio for Windows, stands for Waveform Audio File Format. It is developed by Microsoft and IBM as a standard audio storing format on computers. It is so widely spread today that it is called a standard PC audio file format. It is the main format used on Windows systems for raw and typically uncompressed audio. In fact, when your computer shuts down, starts up, or gets an email, all these sound effects are .WAV files. 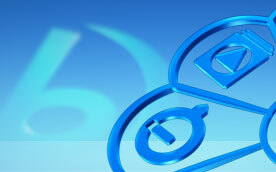 Ogg is a free, professional-grade, open standard media format maintained by the Xiph.Org Foundation. It is not restricted by patents and is designed to offer efficient streaming and manipulation of high quality to digital multimedia. 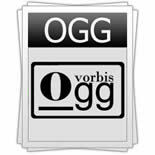 Ogg Vorbis encodes audio and Ogg Theora encodes video. 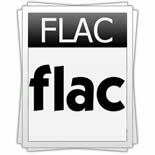 FLAC stands for Free Lossless Audio Codec, used for lossless audio data compression. It compresses audio via the Free Lossless Audio Codec. This audio compressing method makes no sound quality lost during the compression process. FLAC stands out as the fastest and most widely supported lossless audio codec. AMR refers to Adaptive Multi-Rate audio codec, which is a patented audio data compression scheme optimized for speech coding. It was adopted as the standard speech codec by 3GPP in 1998 and developed and widely used in GSM and UMTS in 1999. It is also a file format for storing spoken audio. 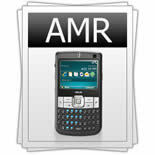 Many modern mobile telephone handsets will allow you to store short recordings in the AMR format, and AMR is used more and more for cellular phones. 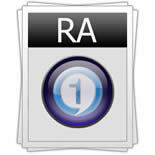 RA, or RealAudio, was designed to conform to low bandwidths. It is a continous and proprietary audio format developed by RealNetworks. It is used by many radio stations over the internet. RealAudio files normally have a file extension of .ra, .rm or .ram. 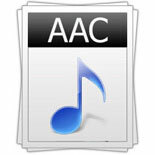 AAC means Advanced Audio Coding, which is a technique for compressing digital audio files. 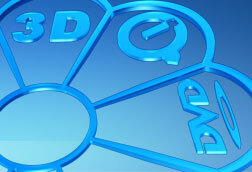 It is officially part of the MPEG-4 Systems Standard and is most commonly applied for develop digital audio files. It is created to enhance upon and replace MP3 as the defacto Audio Encoding standard at medium to high bit rates. 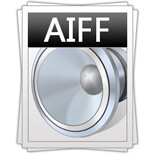 AIFF is short for Audio Interchange File Format, which is an audio format initially created by Apple Computer for storing and transmitting high-quality sampled audio data. It supports a variety of bit resolutions, sample rates, and channels of audio. AIFF files are more widely used as .AIF on Windows systems. 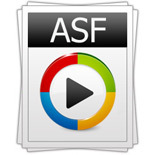 ASF stands for Advanced Systems Format or Active Streaming Format, which is the file format used by Windows Media. 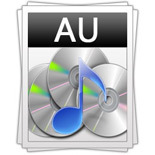 An ASF file can store the compressed content of Audio and/or Video. It supports playback with the Windows Media Player (offered the proper codecs installed).